At Heimdall Security we provide CCTV systems for domestic and commercial premises. For More Info contact office 044 933 3751. 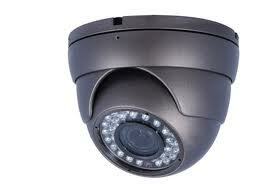 CCTV is an effective way to detect crime as well as enhance the general safety of your family around your home. Security cameras can be used to screen visitors before they enter, as well as keep an eye on the perimeter of your property. Heimdall Security will assess your specific home or business needs and design a CCTV system that is appropriate for your circumstances. We also offer you the flexibility to upgrade your system as your needs change. Depending on your requirements, your CCTV system could range from a few security cameras with a monitor for viewing real-time activity, to an array of overt and covert (hidden) cameras, linked to a bank of monitors and recording equipment that can operate 24 hours a day, or at pre-programmed times. The latest recording technology includes Digital Video Recorders (DVRs) or Network recorders (NVR) used to simultaneously organise and record video signals from multiple cameras, making the search for required images a simple task. And you can keep an eye on things from anywhere in the world, accessing your surveillance system through the internet.